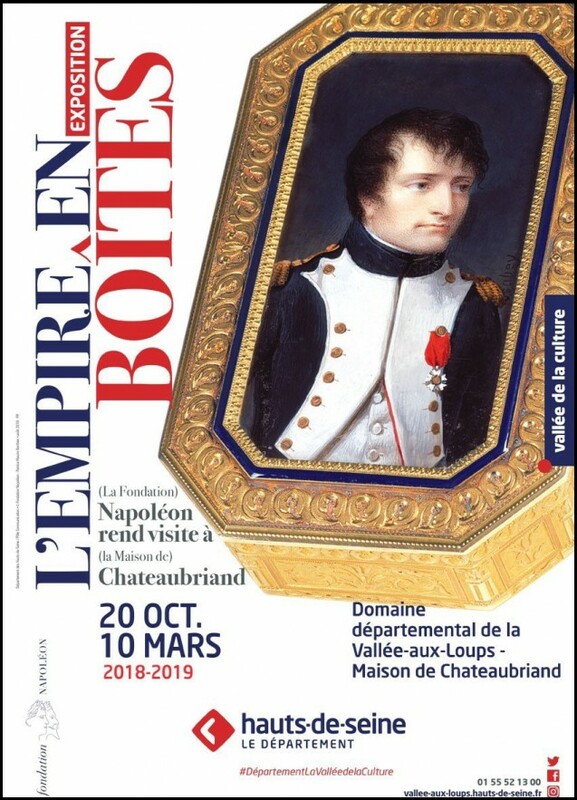 This exhibition is one of a series of events organised by the Fondation Napoléon and the Maison de Chateaubriand to mark the 250th anniversary of the birth of François-René de Chateaubriand (4 September 1768) and the 170th anniversary of his death (4 July 1848). (*) Main beneficiaries of the reduced rate (upon presentation of proof): seniors aged 65 and over, students, teachers, 12-18 years old, jobseekers and RSA recipients, groups of at least 10 people, employees of the Hauts-de-Seine Department in active employment or retired, holders of a discount card for large families, curators and members of ICOM, holders of a subscription card for the three departmental museums, veterans. Main beneficiaries of free admission (upon presentation of proof): under 12 years of age, students, the disabled and one person accompanying them, journalists, members of the Association des Amis de la maison de Chateaubriand, the Musée du Domaine départemental de Sceaux or the Musée départemental Albert-Kahn. Study day: “Napoleon and Chateaubriand in their time”, Friday 19 October 2018. Organised by the Fondation Napoléon with presentations (in French) by Bernard Degout, director of the Maison de Chateaubriand: “Chateaubriand et Napoléon”, Jean-Claude Berchet, editor and biographer of Chateaubriand: “Chateaubriand et le néo-classicisme” (“Chateaubriand and neo-classicism”), Jean-Claude Bonnet director of studies at the CNRS: “Antonin Carême, le Napoléon de la Cuisine” (“Antonin Carême, the Napoleon of Haute cuisine”), Chantal Prévot librarian at the Fondation Napoléon: “Que lisaient les Français à l’ époque de Napoléon et Chateaubriand?” (“Which books did the French read at the time of Napoleon and Chateaubriand?”); Thierry Lentz, director of the Fondation Napoléon: “Joseph Bonaparte : un libéral dans la famille Bonaparte?” (“Joseph Bonaparte: a liberal in the Bonaparte family?”); Peter Hicks, international affairs manager at the Fondation Napoléon: “Musiques au temps de Chateaubriand et de Napoléon” (“Music in the time of Chateaubriand and Napoleon”).